How Western interventions and misdirections have affected the Middle east over the last 100 years. After the guns fell silent, sharp knives came out. Victorious allies of WW1, proceeded to carve up the Ottoman Empire, stretching from the Middle East to Central Asia to the Eastern Europe – the modern successor to the ancient Assyrian Empire. In 1916, an expert on West Asia, believed that ‘dismemberment of Turkey is the goal which Europe has steadily aimed at’, for at least the previous 400 years. “Just as Europe turns upon the dismemberment of Turkey, so the Eastern question in Asia turns upon the continued solidarity of Hindustan” By George Nathaniel Curzon Curzon (Marquis of) in Problems of the Far East: Japan–Korea–China; published in 1894. TE Lawrence, a British spy, posing as archaeologists, determined the fate of millions in the Middle East. 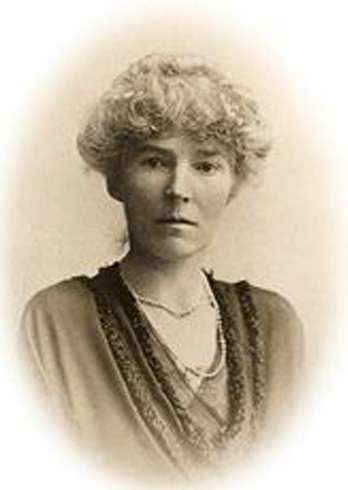 Another British spy, a team-mate of TE Lawrence, Gertrude Margaret Lowthian Bell made the selection of the King Of Iraq. She also campaigned actively against female suffrage. Despite her own achievements, she accepted the prevailing Victorian view that women were not qualified to make decisions about affairs of state. And as a daughter of the establishment, she was offended by the militancy of the suffragist movement. Why give the vote to more people? Especially, poor women. Gertrude of Iraq, messed with the Middle East, only to commit suicide in 1926, with an overdose of sleeping pills. Preceding the death of (TE) Lawrence of Arabia in 1935. The Middle East campaign during WW1, against the Turks was ridden with conflicts. 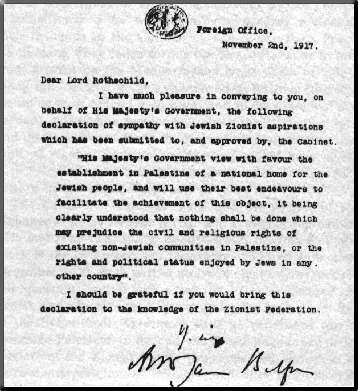 The Balfour Declaration, the side alliances with the local tribal chieftains and the claims by the Indian Colonial Government. The India Office supplied the critical Indian troops against the Ottoman Turks, in the hope that the Middle East territories would be attached to the Indian colonies. The artificial and cynical policies of the British lived on after their departure. Yet Bell and her superior as British high commissioner, Sir Percy Cox, laid down policies of state in Iraq that were taken up by Saddam’s Arab Ba’ath socialist party. Those policies were to retain, if necessary by violence, the Kurdish mountains as a buffer against Turkey and Russia; to promote Sunni Muslims and other minorities over the Shia majority; to repress the Shia clergy in Najaf, Kerbela and Kazimain, or expel them to Iran; to buy off the big landowners and tribal elders; to stage disreputable plebiscites; and to deploy air power as a form of political control. “Iraq can only be ruled by force,” a senior Ba’ath official told me in 1999. “Mesopotamia is not a civilised state,” Bell wrote to her father on December 18 1920. Out of the Ottoman Empire, Iraq was carved up and King Faysal was put on the throne. This new King did not even know his kingdom – and he was taken around by his new makers. Turkey decided to go West – with Mustafa Kemal Ataturk mandating all Turks must cut of their beards. Out of the fog of war, came the Russian Communists – which again the Anglo-Saxon world tried to blame the rest of the world for. During WW1, Britain made the Balfour Declaration, which promised a Jewish homeland, to be carved out of the Ottoman Empire – in Palestine. The Balfour Declaration put the entire Middle East on shaky political ground. Exploitative commercial contracts favoring Anglo-Saxon bloc of countries were signed with these puppet governments – and the rest of the story is being played out for the last 90 years. Western Empire builders of today bemoan the ‘mistakes’ of past leaders – without even considering the interests and rights of the rest of world. Midway through WW1, by 1916, the heads of the Allied powers – Britain, France, Italy and Russia had changes of governments. 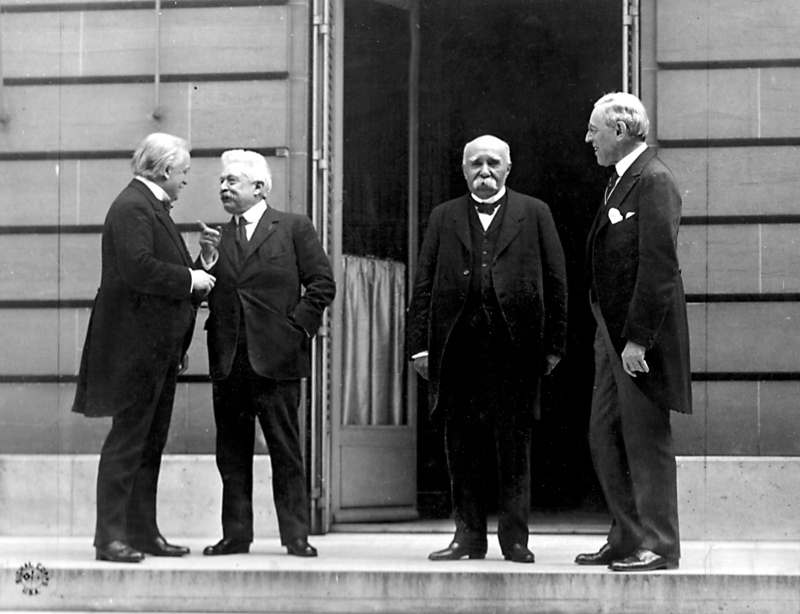 Italy ran through three Prime Ministers during WW1. Each of new governments had different agendas and ideas about the Middle East. Britain, under Prime Minister, David Lloyd George, could look at Middle East (and War itself) as only a dominant super power of the period could – as imperial fodder. Georges Clemenceau, the French Premier, was diffident about colonial expansion, pragmatically viewing French resources and capability, in overextended colonial territories and vulnerable to Germans at home. In 1915, Italy joined the alliance. At the end of the War, Italy promptly staked its claim for the borderline Balkan areas of Dalmatia and Rijeka /Fiume. American economic interests demanded opening of markets, closed to America by colonial powers. Woodrow Wilson (couched as his personal ‘belief in self-determination’) wanted ‘independence’ for the Middle East – for the US corporations to manipulate the Middle East, which they promptly did. The unforeseen elements were the Russians. The Communist leaders pulled out of the war. Russia was replaced by their future Cold War rival, United States into the war, on the side of the Allies. The only interest not represented was that of the Middle East itself. One example was Emir Hussein. He could make the British believe that Emir Hussein could raise a force of a quarter million Arabs. He could deliver 3000-4000. Shaikh Faisal was another. Muhammed Sharif al-Faruqi was the third. Turkey – led by Mustafa Kemal Ataturk, reduced itself to ‘copycat’ attempt at Westernisation. After WW1, the victorious allied powers dismantled the Ottoman Empire. Turkey was reduced to a rump state. After these destabilizing decisions, the Anglo-Saxon world has been put their propaganda machine to work overtime. Demonizing communism and now Islam. Without taking the responsibility for their own actions – and further interventions, creating further instability. Like the demonization of the Jews before and the Red Indians after, this too is having disastrous effects – in Iran, Iraq, Afghanistan, Pakistan. And this process of demonization is a matter of concern to the rest of the world. Preparatory work has already started in the West on re-drawing these maps again – which will favor the West some more. Is India getting co-opted in this demonization? Gandhiji saw this problem 90 years ago – and his support of the Khilafat movement was prescient. Today when some Indians join in this demonization, it is matter of ignorance – and a threat. What triggered WW1 is common knowledge. The assassination of Archduke Ferdinand. How did so many other countries get involved? The Russian Tsar (related to the British Royal House and based on the support of) Britain, the Anglo-Saxon Bloc and the French, supported political Serbian assassins, of Archduke Ferdinand of the Austro Hungarian Empire – and that started the World War I. Not some harmless gun shot that seemed to have triggered it off as victorious Anglo-Saxon historians would have us believe. Were some Governments involved in this assassination? 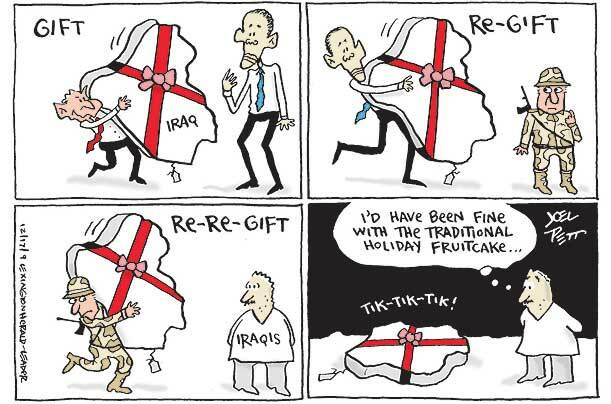 Finally, paint the Iraqis for the mess! The assassination plot included Gavrillio Princip, the actual 19-years old killer, Mehmed Mehmedbasic (a carpenter, unsure of his success, finally didn’t do anything), 17-year-old Vaso Cubrilovic, Nedelko Cabrinovic, all of 20 years old, Cvetko Popovic, an 18-year old student, 24-year old Danilo Ilic, the main organizer of the plot and Trifko Grabez, a 19-year old. The name of the group was Black Hand, a circle of radicals in the army around Dimitrijevic-Apis, the man who led the murder of the Serbian royal couple in 1903. The other ring leader was Vojislav Tankosić organized the murders of Queen Draga’s brother’s; Dimitrijević Apis and Tankosić in 1913-1914 figure prominently in the plot to assassinate Franz Ferdinand. What would happen if a Pakistani based terrorist group were to kill Prince Harry? Would the US take no action if an (imagine Islamic) assassin were to shoot the US President-Elect. And what would the US do if (say, the) Governments of Russian or China (or for that matter, India) were to support the assassins. Well! A Balkan assassin did kill the Crown Prince (equivalent to the US President-Elect). The Russians, the Anglo-Saxon Bloc and the French supported the assassins. The Ottoman Empire (out of Turkey), which obviously could not support assassins of royalty. Germany, ruled by the Kaiser Wilhelm. Britain immediately started aggressive posturing against Turkey (the Ottomans). On July 29, 1914, Churchill, then Lord Of Admiralty, seized two Dreadnought ships being built for the Ottomans in British shipyards for the Turkish navy. The Germans needed allies and to woo the Ottomans, presented them with two ships. Britain, France and Russia declared war on Turkey on October 31, 1914. By 1916, Britain, France and Russia had signed the secretive Sykes-Picot Pact – a framework for the division of the Ottoman Empire after the future defeat of the Turks. While the WW1 was going on, a civil war broke out in Russia. Kerensky, a member of the moderate Labor party, Lenin, Trotsky et al of the Bolshevik Party, overthrew the Tsar and assumed power in February 1917. Another stereotype? Click for larger image. Till 1923, the Russian Civil War continued, to the defeat of Kerensky and his White Army in 1923. Kerensky wished to continue war alongside Britain and France. Lenin broke ranks, and in October 1917, the Russian-Communists started negotiations for a peace treaty with Germany. In 1918 the Treaty Of Brest Litovsk followed. After the end of WW1, Britain and France did not honour Russia’s claim under the Sykes Picot Pact. Russians retaliated and were actively involved in the Middle East instability for the next 50 years, by playing of one Middle East country against another. Supporting the assassins was the alliance of Russia, France, Britain, (and later) America, and sundry other European countries. With this act of brinkmanship, they took the world through the agony of a huge war, the price of which is being paid even today. The Middle East problems, the rise of Communism all came out of the World War I. Without the Middle East and its oil and other potential resources, he saw no hope of our being able to achieve the standard of life at which we were aiming in Great Britain. Tanny – If you can be more specific as what part is the fake, then maybe I can take a 2ndlook at it. Nishkamya – Interesting! Puzzling, too! TEL died in 1935, in a mysterious motorcycle accident – not very old. 1. Did Sheikh Abdullay marry late. Improbable? 2. Is it that Akbar Jahan split from TEL just before /during /after WWI – say between 1912-1920. Logical. 3. I wonder if there was more than meets the eye. Was Akbar Jahan a honey-pot trap for Sheikh Abdullah by British intelligence. 4. Remember, Farooq found it easy to stay in UK for a long time. Where did he get that much money from? Who funded his stay in Britain? Do you have dates of Akbar Jahan’s marital history? Within intelligence circles it is a known fact that the Abdullahs are British agents. You have to check the families trajectory for that. It is pretty interesting. Given the geography of Kashmir, it was crucial that India not have full control over the area. Check out the map of POK and the trade routes it cuts India off from – Oil. Add to it the drug routes through the area especially to china and the sapphires (minor factor). The british merchants were very wise. They first penetrated british nobility in 16th century onwards through marriage and later some of the important families of India. In some cases, it was though Indian sepoys (read about the Patiala lineage). “In 1933 he married Akbar Jahan, the daughter of Michael Harry Nedou, the eldest son of the European proprietor of a chain of hotels in India including Nedous Hotel in Srinagar, and his Kashmiri wife Mirjan. Michael Harry Nedou was himself the proprietor of a hotel at the tourist resort of Gulmarg (The writer Tariq Ali claims that Akbar Jehan was previously married in 1928 to an Arab Karam Shah who disappeared after a Calcutta newspaper Liberty reported that he was actually T. E. Lawrence (Lawrence of Arabia) a British Intelligence officer. He claims that Akbar Jehan was divorced by her first husband in 1929.) He agitated against the rule of the Maharaja Hari Singh, and urged self-rule for Kashmir. Sheikh Abdullah(1905-1982)would have been 28 years old when he married Akbar Jahan – a rather late marriage in the Indian context. Curiouser and curiouser – said the Cat to Alice. Yes … a reader Nishka K drew my attention to this story, sometime back. Was TE Lawrence in Kashmir for a holiday (most probably) – or was he sent by the British, to prop up a local leader, inciting trouble for Maharaja of Kashmir. TE Lawrence had done precisely with the Ottomans – and so to say was a specialist in this. But the year is 1928 – and the partition of India was still far away. The First Round Table (November 1930 – January 1931) was still two years in the future. 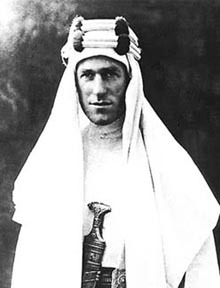 TE Lawrence died in 19 May, 1935 – and The Government of India Act 1935 was passed in August 1935. To credit the British with a grand design, is to credit too much intelligence. This may be worth studying ….